A party of 16 architects, structural engineers, specifiers, and timber industry organisations were welcomed by TTF member East Brothers to the first of a series of TTF TimberWorks events, which took place in Wiltshire on Friday 22nd March. 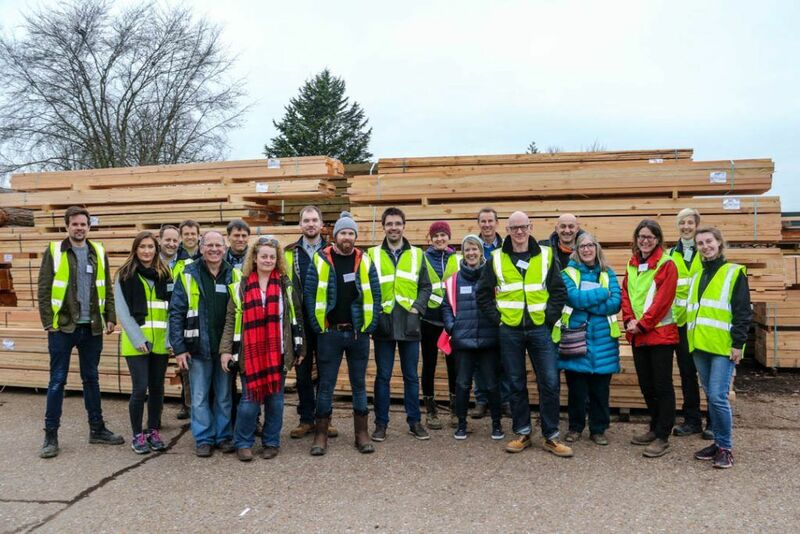 TimberWorks is a new campaign promoting understanding and knowledge-sharing between architects, builders &-specifiers, and TTF member timber suppliers. 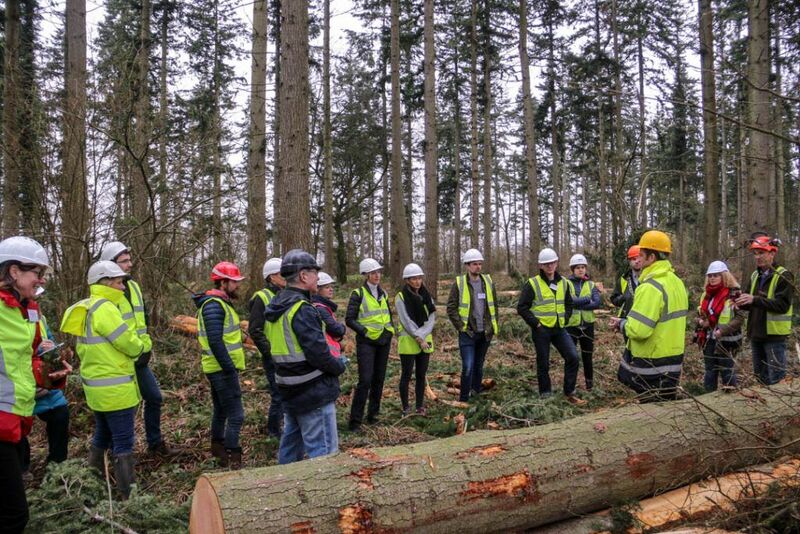 The event included a visit to a local forest to see timber selection and harvesting, and a visit to East Brothers’ extensive sawmill and hardwood stock operations at West Dean. 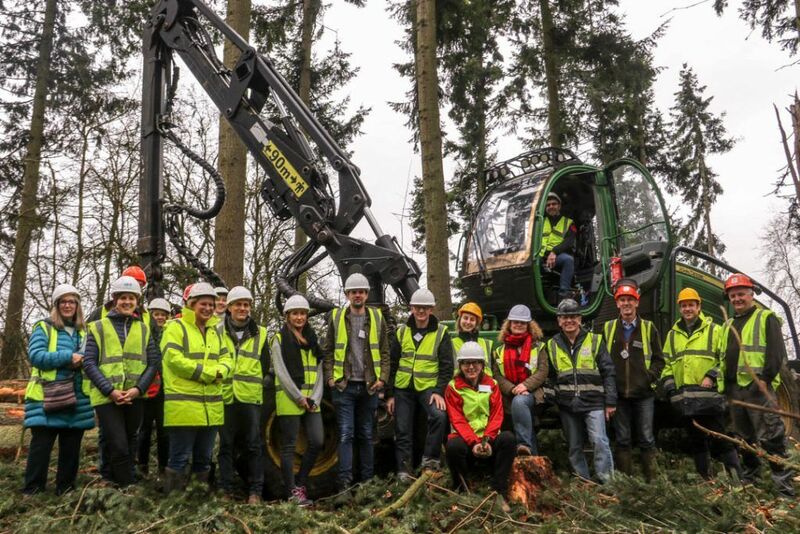 Starting in a nearby forest, the group were able to watch the harvesting of Douglas Fir. East Brothers directors Richard Baker and Mark Gilbert then described the log conversion process and discussed the uses and structural grading of different species of locally-grown British timbers. The group then moved on to East Brothers’ sawmill. 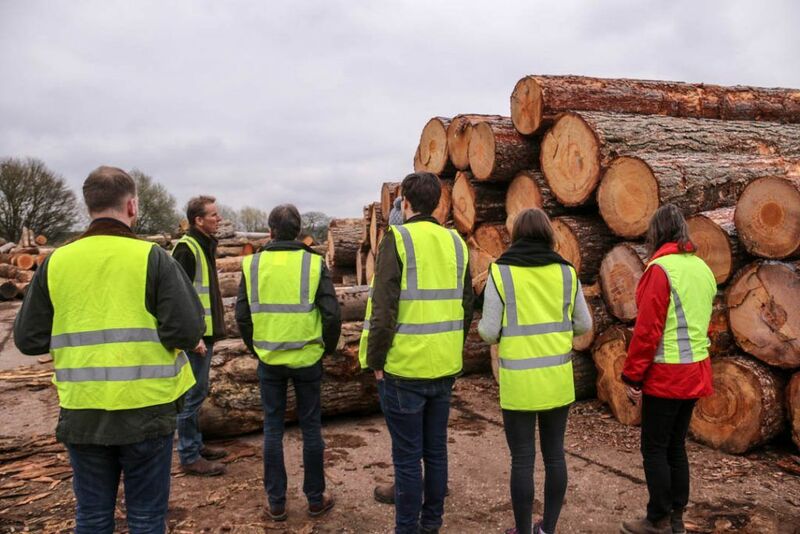 They were shown the entire process from de-barking to kilning and planning, including East Brothers’ re-use of timber residues, for example in the company’s biomass boilers which provide heat to the kilns. 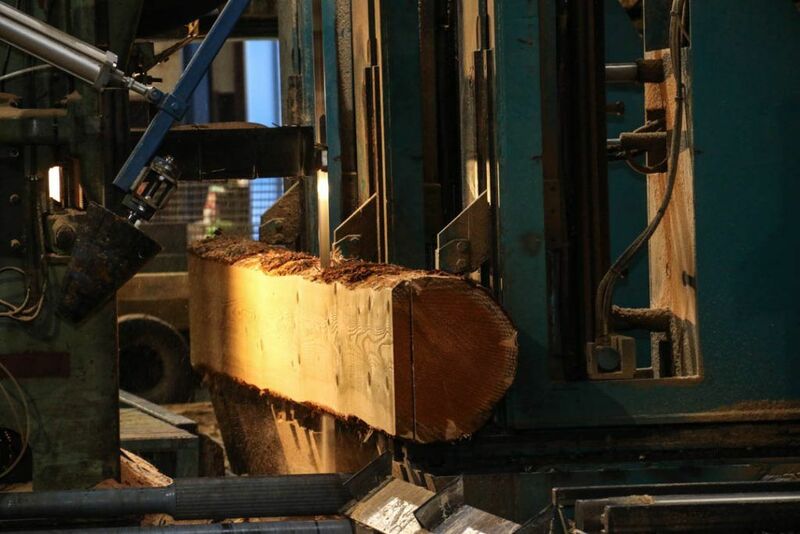 David Hopkins, Managing Director of the Timber Trade Federation, comments: “Face-to-face visits to facilitate direct and business-relevant discussion of pivotal points in designing with wood. Yet events are just one part of our TimberWorks campaign. The TTF website already features around 40 case studies. We also plan a series of podcasts, and our TimberWorks Twitter feed will be launched shortly.